NEW YORK – Pope Francis’ affinity for global governance was evident during his recent trip to the United States, with his remarks on his arrival at the White House echoing his embrace of the global-warming agenda in his first encyclical, “Laudato Si,” and his historic speech to the United Nations endorsing the U.N.’s new Agenda 2030. 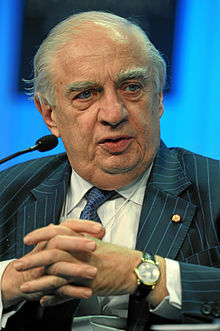 Behind the pope’s proclamations is a powerful Vatican adviser who is highly regarded among global governance advocates, Peter Sutherland, a non-executive chairman of Wall Street investment banking powerhouse Goldman Sachs who served as chairman of oil giant BP through 2009. Sutherland’s globalist credentials are exceptional. 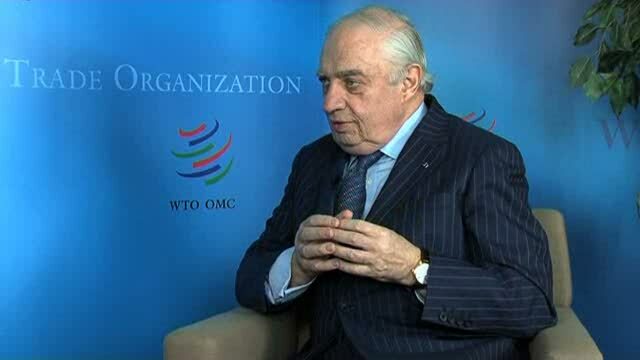 Born in Ireland, where he also served as attorney general, he was appointed to the European Commission in 1985 and headed the General Agreement on Tariffs and Trade, which has evolved today into the World Trade Organization. Later, he was appointed to the steering committee of the Bilderberg Group and served as the honorary chairman of the Trilateral Commission. In addition to his global governance credentials, Sutherland is one of an estimated 100 elite Papal Knights within the Roman Catholic lay religious society Knights of Malta and a member of Opus Dei. In his 1999 book, “Their Kingdom Come,” Canadian financial journalist Robert Hutchinson characterized Opus Dei as a secret society of international bankers, financiers and businessman whose goal critics have characterized as using the influence of the Catholic Church and its largely tax-exempt worldwide network to advance the aims of global government. Yet, when it came time to reform the Vatican Bank, Francis appointed Sutherland as his adviser to Administration of the Patrimony of the Apostolic See, the Vatican’s new name for the Vatican Bank. Sutherland’s influence on the pope’s thinking is probably nowhere more clear than on the issue of refugees and international immigration. In February, the Vatican approved Sutherland’s election as president of the International Catholic Migration Commission, a position he holds while serving as the U.N. special representative of the secretary-general for international migration. On Oct. 5, Sutherland ruffled feathers with an interview published by the United Nations in which he claimed the refugees currently flooding Europe from Syria and the Middle East are the responsibility of the world under the United Nation’s 1951 Refugee Convention. Sutherland, according to the BBC, gave a lecture to the London School of Economics, where he is also chairman, arguing there was a “shift from states selecting migrants to migrants selecting states” and the EU’s ability to compete at a “global level” was at risk. He added that the EU states should stop targeting “highly skilled” migrants, insisting that “at the most basic level individuals should have a freedom of choice” about whether to come and study or work in another country. In the speech he gave in a midday prayer service to the United States Bishops at St. Matthew’s Cathedral in Washington, D.C., on Sept. 23, Pope Francis’ openly embraced Hispanic immigrants in the United States, not distinguishing between legal and illegal immigration. “My second recommendation has to do with immigrants,” he said at the end of his speech, seemingly mindful that he shares his native Spanish language with the millions of Hispanic immigrants. “I ask you to excuse me if in some way I am pleading my own case. “From the beginning you have learned their languages, promoted their cause, made their contributions your own, defended their rights, helped them to prosper and kept alive the flame of their faith,” he said. “Even today, no American institution does more for immigrants than your Christian communities,” the pope stressed. “Now you are facing this stream of Latin immigration which affects many of your dioceses. Not only as the Bishop of Rome, but also as a pastor from the South, I feel the need to thank and encourage you,” the pope said. “Perhaps it will not be easy for you to look into their soul; perhaps you will be challenged by their diversity,” he continued. “But know that they also possess resources meant to be shared. The next day, addressing a joint session of Congress, Francis’s remarks on refugees and migration mirrored comments made by Sutherland. “Our world is facing a refugee crisis of a magnitude not seen since the Second World War,” the pope said, referring to refugees from Syria and the Middle East. “This presents us with great challenges and many hard decisions. “On this continent, too, thousands of persons are led to travel north in search of a better life for themselves and for their loved ones, in search of greater opportunities,” he continued, referring to Hispanic immigration to the United States. Concluding the thought, Francis quoted from Matthew 7:12, evoking the Golden Rule.